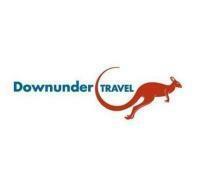 The Dingos are happy to announce that Downunder Travel, Sports Centre Cafe, and the Global Village Backpackers have all renewed sponsorship deals with the club for the upcoming season. Downunder Travel has been with with club for the past six seasons, often donating great prizes to Dingos' fundraisers and events. Check out their website if you're looking to travel to a destination in the Pacific. The Sports Centre Cafe has provided the Dingos with very generous financial support for many years, as well as providing a hub for many of the team's social events. Every Thursday night during the footy season you will find the Dingos at the SCC after training enjoying great deals on beer and food. The SCC is also the location of the largest annual AFL Grand Final party in Toronto, which also happens to be the Dingos' biggest fundraiser of every season. Our newest major sponsor, Global Village Backpackers, has renewed their sponsorship for a second season, after joining the Dingos in 2012. The fantastic downtown location (on the corner of King and Spadina) and atmosphere at the Global Village Backpackers makes it the premier hostel in the city. On Saturday nights after games you will find the Dingos enjoying beers on the fantastic patio of their on-site bar, the Departure Lounge. For more info, check out their website. We would like to thank all three of these fantastic sponsors for their continued support of our football club. As always, we are looking for more sponsors. There are numerous support or sponsorship options available to those looking to getting involved with the Dingos. Whether its your time, effort, service, product or financial assistance we welcome all support, sponsorship and donations. For more information, email president@torontodingos.com.